For the second year in a row the Grist Mill and Gardens took home top honours at the Similkameen BBQ King – this time in the small bite competition. 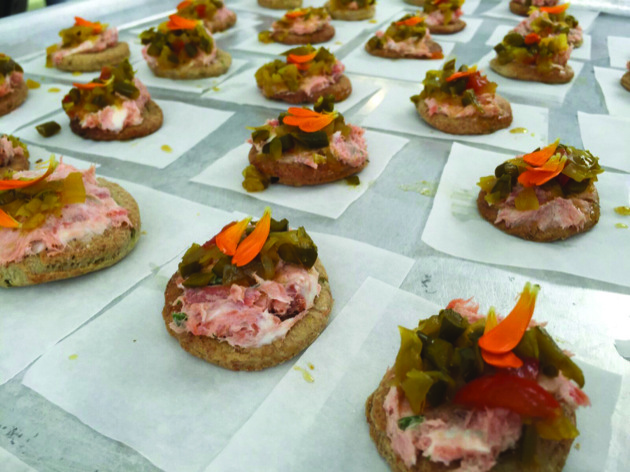 The Grist Mill prepared a delicious cracker made from wheat milled on site and topped with Osoyoos salmon, herbed cream cheese, garlic scape relish and edible flowers. “This little bite represents so much about what I’ve been trying to accomplish at the Grist Mill: every component was scratch-made from fresh, local ingredients with a ton of stories layered into every bit of it,” operator of the Grist Mill Chris Mathieson said in a statement. The Grist Mill and Gardens also received the most creative award. Rain fell for about the first hour of the event but event goers were treated to table service from their favourite Similkameen wineries. Spirits were definitely not dampened. Several other local establishments provided mouthwatering small bites entries including Tree to Me, Wrong Turn Tavern, Branding Iron Bar and Grill, Benja Thai and Harker’s Organics. Changing it up at the seventh installment of the highly regarded competition, organizers decided to open up ingredient lists and do away with specific wine pairings all together. On the wine glass of each BBQ King goer there was a suggested pairing for each main dish prepared by three regional chefs Adair Scott, executive chef at Watermark Beach Resort, Shayna Merritt and Josh Shulman from Shayna & Shulman Culinary Adventures/Smugglers Smoke House and James Holmes, chef/partner at Craft Corner Kitchen. The third time was the charm for Adair Scott from Watermark Beach Resort as he earned the title BBQ King for his sausage dish. 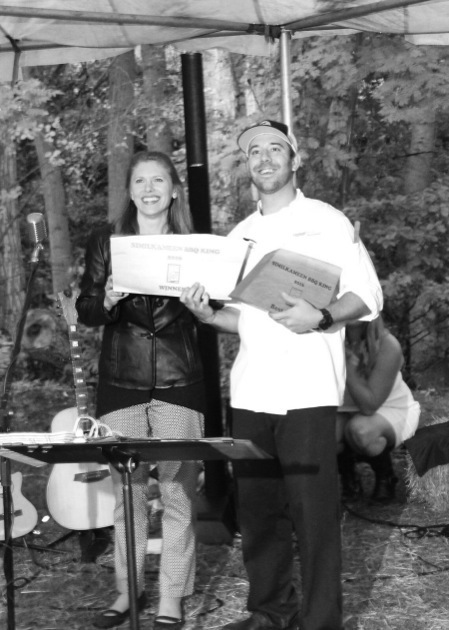 The other winner for the night was James Holmes, chef/partner at Craft Corner Kitchen for his steak dish.